I started at the end of January 2015, so not long at all. I read, a lot. I love watching films. I also play netball twice a week, that’s like basketball but you can’t run with the ball and there is no backboard behind the hoop. Oh, tough one. I think I would be a bird so I could fly anywhere I wanted. Or a mouse because they are just cute! This may sound odd, but the characters do. I have no idea where they are going to end up when I start putting fingers to keys. When I am writing I sort of have a plan but I just let the characters tell me where they want to go. And because I really want to see them get their HEA, I have to get the story written! I guess they would be new adult because they are rockstar romances. The idea for my first book came to me about a year ago. I think it was after I had just read something that I thought was ok but could have been better which got me thinking “how could I improve this”. Then the idea for my first book popped into my head and I thought that it would make an awesome book. It would not leave me alone so after a New Years resolution and reading the story of an American servicemen, I decided if he could go through so much and come out the other side so positive then I could at least try and write, even if it sucked. Luckily people have liked it, which I still find hard to believe some days. The storylines for the other books just spiralled once the characters popped up in book one. Just the one – Fade to Black. It’s the first book in a series about a rock band and each will focus on a different band member. I’m currently working on getting this into print. It’s being re-edited and the cover has had a makeover too. The second book has been started but I’m not that far into it yet. 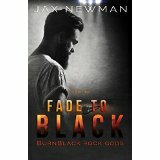 Nope, just a re-release of Fade to Black. I only have one, so I would pick that! I will continue with this genre but I would love to try writing some PNR. It was the first genre I discovered when I bought my kindle 4 years ago. I also have the idea for a M/M book too involving a character you meet in Fade to Black. I do add little bits of myself in to my female lead characters and also who I’d like to be. I don’t tend to use other people but I have borrowed the names of my netball teammates for characters in book 2. I would like to be Freya from the first book because she is not afraid to be herself and she’s confident with it. I guess I get inspired everytime I read a new book I love. My must read authors do the same – Felicity Heaton, Jay Crownover, Nicola Haken, Tina Folsom, Carrie Ann Ryan, Terri Ann Browning, Sloan Johnson to name but a few! I mostly read romance. But I do read fantasy books too. The Age of Misrule trilogy by Mark Chadbourn is probably my favourite, oh and Game of Thrones of course. I don’t think I could pick a favourite sub genre in the romance department. I love PNR, M/F and M/M. My advice for anyone starting to write is to do a rough chapter plan and then just start. Even if you are not happy with what you have written, you can go back and change it later. And find a good beta reader who will tell you honestly if it’s working or not. I had 4 for my first book and I would not have published my book without them. If you are struggling, take a break. Do something to relax and take your mind off your problem and then start again when you can look at it with fresh eyes.